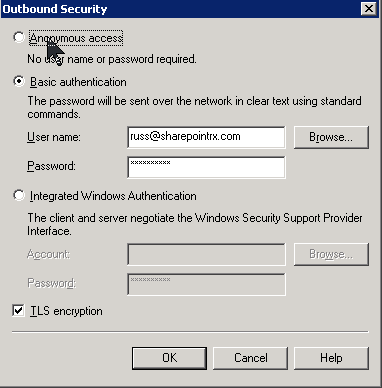 Setting up Outbound Email in SharePoint 2007 Using an Authenticated Outbound SMTP Account | Are you a user? 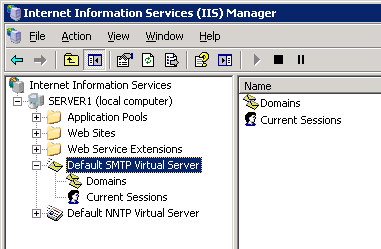 Start by provisioning the MS SMTP server in your local infrastructure. 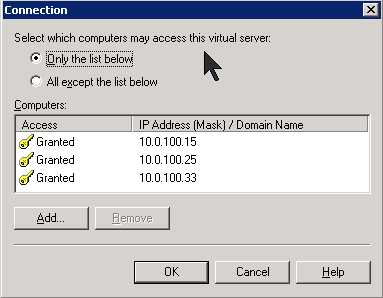 If you are using a single server, you can provision it on that server. 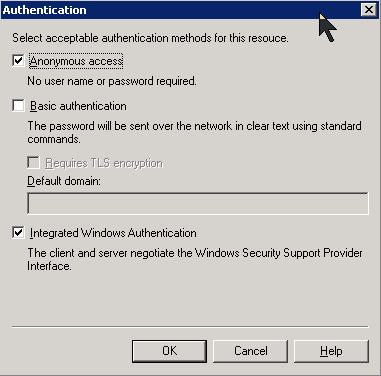 Make sure it’s set up to allow anonymous access (Properties | Access | Authentication) since SharePoint doesn’t provide a method to store SMTP server credentials. Determine your login settings for your email provider’s authenticated SMTP account. This may or may not require that you check the "TLS encryption" checkbox. 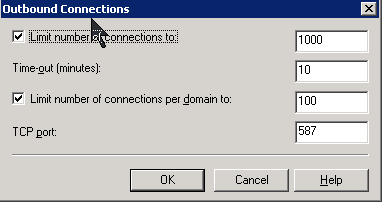 You may also find that you need to change the TCP port to a "secure" port. 587 is fairly common. 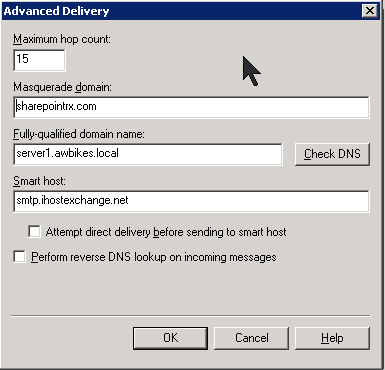 On the advanced delivery dialog, insert the name of your SMTP host in the "Smart host" field. If you have a test domain that you are sending from (in this case, server1.awbikes.local), you might find you have to set the "Masquerade domain" so your email provider will accept the mail delivery. You probably want to limit the connections that can be made to your SMTP server, especially if it is exposed where it could be hacked. In this case, I have three machines that can connect to the SMTP server and use it to send email. Finally, set the SMTP settings on the Operations | Outgoing E-Mail Settings page in Central Administration.